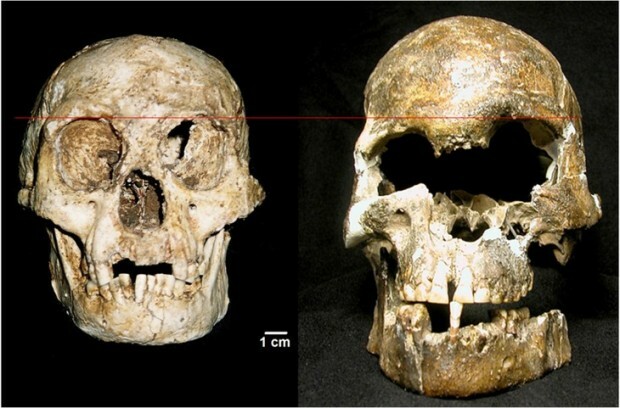 “Nearly a decade ago, researchers discovered the remains of what was thought to be a new human species and dubbed the ‘Hobbit’ human for its short stature and small skull. A lot of the “distinct species” or transitional forms for human evolution are either frauds or misidentified. This is a perfect example. This “distinct species” discovery has been around for 10 years now and lauded around by scientists. I think a lot of the others are just as bogus as this one and can be contributed to disease, genetic disorders, age (brow ridge), birth defects, and deformities. Sorry folks, hobbits are only a fairy tale created by an imaginative human… as is the idea of macroevolution. I’m really pleased with the scientists who brought this new data forward. I’m sure it will probably cost them something when the rabid evolutionists see another one of their frauds shattered. This entry was posted in Creationism, Evolution, Intelligent Design, Science and tagged distinct human species, hobbit human, Homo florensiensis, human evolution, LB1, Liang Bua cave, macroevolution, Proceedings of the National Academy of Sciences, Robert Eckhardt, transitional forms. Bookmark the permalink.